The British Canoeing program is internationally recognized as the gold standard in paddlesport training. Formerly called the British Canoe Union or BCU, the organization has grown considerably since it was created in 1936 to send a paddling team to the Berlin Olympics. British Canoeing is continually being refined around the needs of paddlers, leaders, and coaches. It recently integrated its entire delivery system to align with its organizational philosophy. This community-connected, participant-led ethos is one that we at Sea Kayak Baja Mexico wholeheartedly embrace. Think of it as having a personal trainer. What do you enjoy about paddling? Where, how, or what might you like to paddle in the future and what are your next steps in preparing for that? How can you apply the experience you already have? Your coach will help you create a plan customized for you. There is now direct access to the level you’re ready for. You don’t need to climb the ladder from zero if you’re coming to British Canoeing with skills already. It’s accessible, it’s personal, and it’s exciting! A trio of programs offers a progression to the beginner. Paddle Start aims to provide you with the basic knowledge to enable you to safely get in and out of your boat, make it move and return to your start point. This is your first step into the world of paddling, ensuring you feel safe, confident and ready to progress. To learn more, scroll down to “New Personal Performance Awards” on the British Canoeing website. Paddle Discover allows you to develop your decision making and practical skills for a fun and safe time on the water, taking you on the next steps towards becoming a proficient and independent paddler. Discover for yourself on the British Canoeing website. Paddle Explore gives you ownership; allowing you to choose where you move next in the world of paddlesport. Work with a coach to develop a programme that suits what you need. Learn to make confident choices. Recognize your ability to independently paddle your chosen craft in a sheltered water environment. Explore for yourself on the British Canoeing website. None of the above courses has a test or assessment. Feedback will be given throughout the course. Once students demonstrate that they have mastered the skills, they will be granted the award. Take a sea kayak into the heart of its environment. Further programs take specific craft into the environments they were designed for. Our specialty at this level is in sea kayaking. More information on SUP, whitewater, surf, racing, and rafting can be found on the British Canoeing website. None of the following courses has a test or assessment. Feedback will be given throughout the course. Once students demonstrate that they have mastered the skills, they will be granted the award. The Sea Kayak Award endorses your skill, judgment and the decision making for a successful day on the sea. You will be confident in planning and undertaking journeys on the sea, in winds up to and including force 3 and/or tides up to 1 Knot, using sea kayaks or sit on tops, in tidal or non-tidal environments, with proficient skills to be in control throughout. Read more about the Sea Kayak Award on the British Canoeing website. Coastal Sea Kayak Award requires a good understanding of paddling on the sea. You should be confident planning and undertaking journeys on the sea in winds up to and including force 4 and/or tides up to 2 Knots. Paddle crossings of up to 2nm. Your confidence should be based upon both proficiency in skills and a broad appreciation of surroundings and environmental context. There is no leadership component in this award. Read more about the Coastal Sea Kayak Award on the British Canoeing website. The holder of the Advanced Sea Kayak Award will have extensive experience paddling on the sea. Your experience will include paddling a wide variety of sea conditions with winds over force 4 and/or tides over 2 Knots, using sea kayaks in tidal or non-tidal environments, where you may make open crossings in excess of 2Nm, as well as traveling along the coastline. There is no leadership component in this award. Read more about the Advanced Sea Kayak Award on the British Canoeing website. Foundation Safety and Rescue Training introduces skills that can provide the tools to resolve common paddling scenarios in flat/sheltered water regardless of the craft, and be adapted as well for dynamic water environments. Read more about the Foundation Safety & Rescue Training on the British Canoeing website. Coastal Navigation and Tidal Planning aims to give paddlers the tools to plan and navigate effectively on coastal journeys in moderate sea conditions. It is considered a safety course because of the role of this knowledge and the ability to apply it in preventing incidents. Read more a out Coastal Navigation and Tidal Planning on the British Canoeing website. Leadership has been separated from the personal skills track. Leaders may also deliver Paddle Start and Paddle Discover courses. An accessible new Paddlesport Leader award is one of the exciting programs that has come out of this recent upgrade. It applies to various watercraft in sheltered water. Read more about Paddlesport Leader on the British Canoeing website. Sea Kayak Leader delivers the personal skill and leadership ability required to lead a group of paddlers on single or multi-day journeys in an environment of moderate tidal water with winds not exceeding Beaufort Force 4, current up to 2 knots and surf landings/launches up to 1 meter. Crossings and stretches of coast without landings should not exceeding two nautical miles. Similar to the old 4-star. Read more about Sea Kayak Leader on the British Canoeing Website. Advanced Sea Kayak Leader demonstrates a candidate has entered the top level of performance, involving a high level of personal skill, leadership ability and judgement to lead groups of paddlers with a range of experience on advanced tidal waters. There is no specified upper limit of sea conditions. Similar to the old 5-star. Read more about Advanced Sea Kayak Leader on the British Canoeing website. The coaching track has also been overhauled. Paddlesport Instructors provide introductory sessions in any of a variety of craft (sea kayak. Sit-on-top, SUP, canoe, recreational kayak, or competition-specific paddle craft) in very sheltered water. The qualification will support the instructor with practical skills such as outfitting paddlers and getting afloat, initial familiarization activities, games and activities to enhance learning in a way that is enjoyable, safe and rewarding. The course is a minimum of 15 hours. Assessment is included in the course. Read more about the Paddlesport Instructor Award on the British Canoeing website. Coach Award is designed for people coaching beginners new to the sport, or paddlers looking to develop their skills in the given discipline or environment. The Core segment of the training is a minimum 15 hours, and the discipline-specific segment is also a minimum of 15 hours. Assessment is separate, lasting one or 2 days, depending on number of candidates and logistics. Read more about the Coach Award on the British Canoeing website. 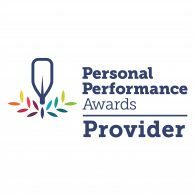 Performance Coach Award provides the tools to plan, deliver and review long-term coaching programs in specific disciplines. It provides an in-depth look at the coaching process in the context of intermediate and long-term coaching and individualized coaching. Read more about the Performance Coach Award on the British Canoeing website.